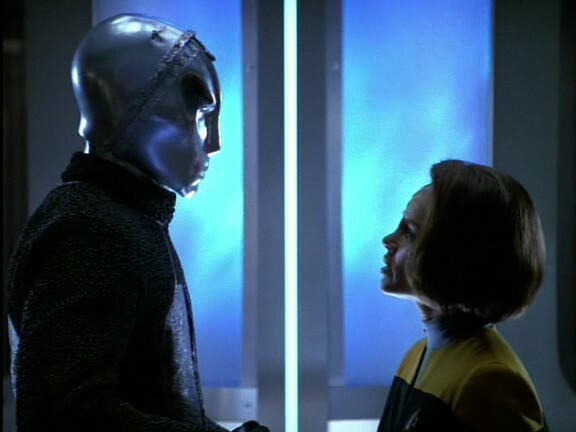 SITREP: B'Elanna has discovered an alien/robotic life form in the Delta Quadrant and fixed it up and now he's kidnapped her and wants her to help him make a bunch of new robots (not the old fashioned way) so his people can finally get back to killing the guys that look just like them. See what I mean? 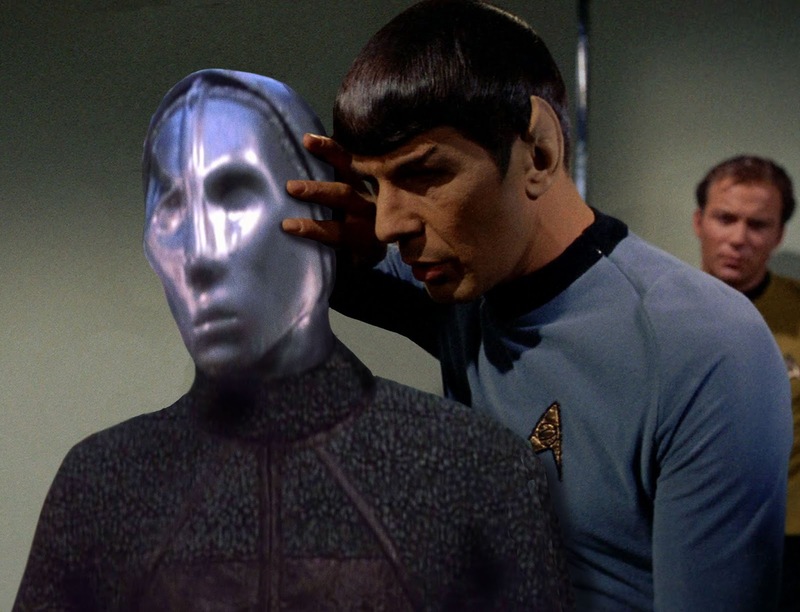 Apparently the people behind Voyager weren't too happy with the Pralor/Cravic design and I get it. These bots definitely just look like guys wearing some carpeting and a plastic mask over their heads. It's low rent. Whenever I see this one I alway end up spending a lot of time trying to figure out how the people in these masks managed to see and breathe and hit their marks. Voyager, like TOS and pretty much all of Trek, had a fairly small budget. They didn't have much money or time for production so I've always forgiven them when their costume design ends up looking a little half-baked. (Except in the case of the Kazon. I can't forgive Seashell Head. I just can't.) So this aspect of Prototype was never an issue for me. There is greatness to be found in Prototype and it's all in B'Elanna's character and the way Roxann Dawson plays out the mother/creator plot. This part is pitch perfect. 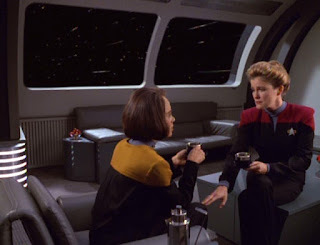 B'Elanna (at this early stage of the show) is not naturally mothering or tending toward the stereotype of nurturer but she is a brilliant scientist and engineer. She has a desire to observe, experiment, and create. She is at first elated with the re-construction of the found Pralor then she rails against being made to participate in building a prototype that would only lead to more war. And, finally, she is both relieved and devastated when she destroys her own creation. B'Elanna's journey here is profound yet believable but it's all mare more resonant when she finally has a chance to talk to Mamma Janeway about her experience. The captain and fellow scientist empathizes in a truly touching final scene. Two lady scientists having a heart to heart?